A Seattle author sent a news tip into the Seattle Times asking why someone was displaying a Confederate flag in her neighborhood — except the flag was not a Confederate flag. 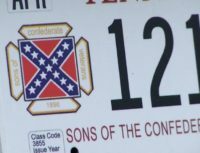 A South Carolina police officer fired for wearing underwear bearing the Confederate flag will receive $55,000 as part of a settlement with the city of North Charleston, a city attorney announced Friday. 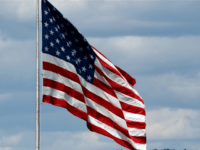 A group of students at a Minnesota high school rallied to oppose a flag ban when school administrators banned the U.S. and Confederate flags. 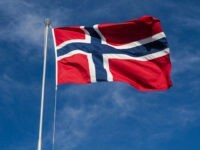 Authorities quickly rescinded the ban. 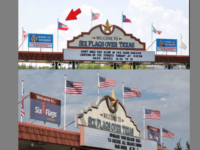 Six Flags over Texas, an amusements park that made its icon the six national flags of countries that governed the now-State of Texas, took down its namesake flags and replaced them with only the U.S. 50-star flag. 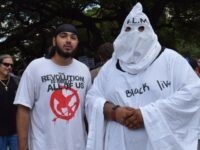 The six flags included a Confederate flag. 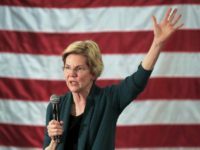 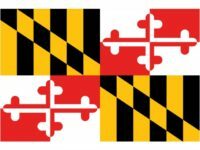 Every few years, liberals launch an attack on the distinctive Maryland State flag because they claim it is somehow a “secret” Confederate flag. 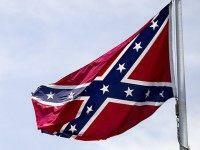 A teacher at Fresno’s Computech school is under fire for displaying a Confederate flag with other “historical flags” in her classroom. 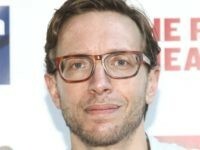 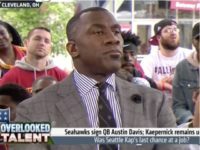 Tuesday on Fox Sports 1’s “Undisputed” broadcast, co-host Shannon Sharpe lamented the Seattle Seahawks’ decision to sign free agent quarterback Austin Davis over Colin Kaepernick to back up Russell Wilson, saying he is “so upset” owners do not want Kaepernick. 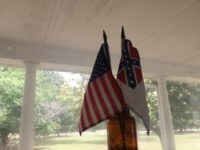 A Civil War battlefield museum in Georgia is closing its doors after a local politician demanded that the establishment discontinues its use of the Confederate flag. 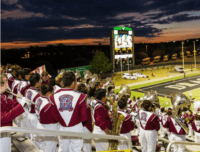 The NAACP, the nation’s largest African American activist organization, is pressuring the governing body for college sports to cancel its tournaments in Mississippi because a portion of the state’s flag contains the emblem associated with the long dead Confederate States of America. 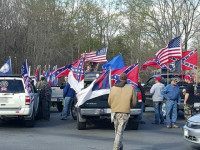 One woman whose job takes her throughout NASCAR fandom is not about to let the presence of the fans’ Confederate flags make her mad. 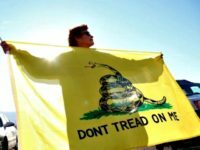 The Equal Employment Opportunity Commission (EEOC) is weighing whether it is “racist” to wear the Gadsden “Don’t Tread on Me” flag logo in the workplace. 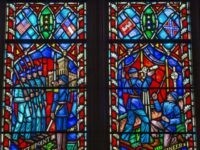 The Washington National Cathedral has announced it will change a few 63-year-old stained glass windows that depict Confederate flags to help jump-start a conversation about the wrongs of the racist “white church” in America. 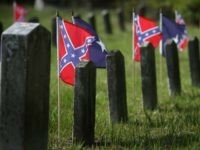 Over Memorial Weekend, 163 American flags were snatched from Confederate graves at the Shiloh National Military Park. 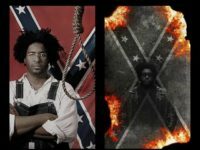 Political activist John Sims is encouraging people to join him in celebrating Memorial Day by burning and burying the Confederate flag. 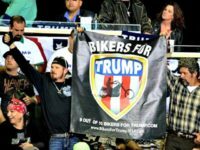 The Sunday New York Times’ “curious editorial decision” to publish a photograph with a confederate flag to accompany an article on presumptive Republican nominee Donald Trump’s appearance with Rolling Thunder in Washington, D.C is making headlines. 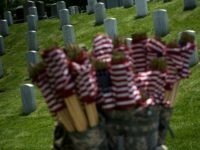 House Speaker Paul Ryan tells his Republican party members they’d better get used to “taking tough votes,” such as one to ban the Confederate flag at historic cemeteries controlled by the federal government. 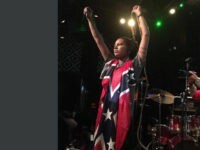 Mississippi-born rapper Genesis Be wrapped herself in a Confederate flag, hung a noose around her neck and ordered fans to rip up a Confederate flag during a recent performance to protest Gov. 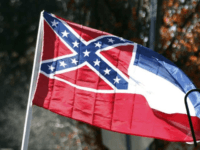 Phil Bryant’s decision to designate the month of April as Confederate Heritage Month. 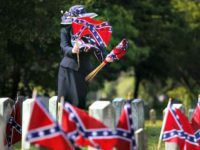 Michigan Representative Candice Miller has decided to banish all state flags from the Capitol tunnel because some contain elements of the Confederate flag, reports reveal.